“NEXT” is our expanded and unified vision over the next year to minister to the NEXT person through the door. Exciting growth is happening within all of the ministries at Cottonwood Creek. 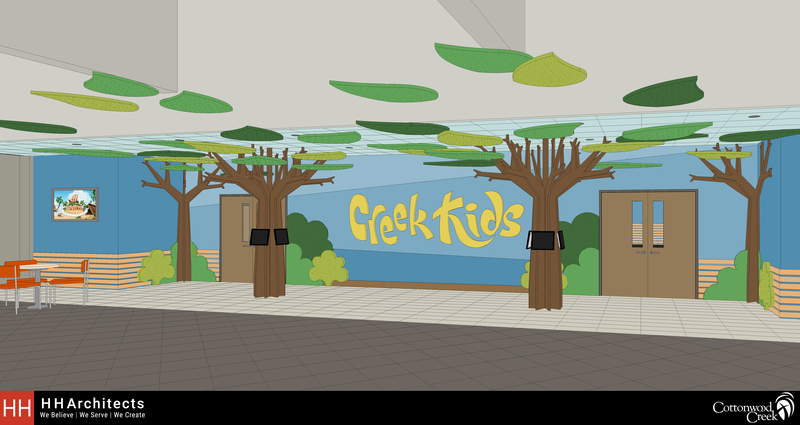 Changes are coming to the Creek Kids ministry space that will expand and equip Creek Kids to reach more children and families, and also open up over 7,000 square feet of ministry space for Adults! 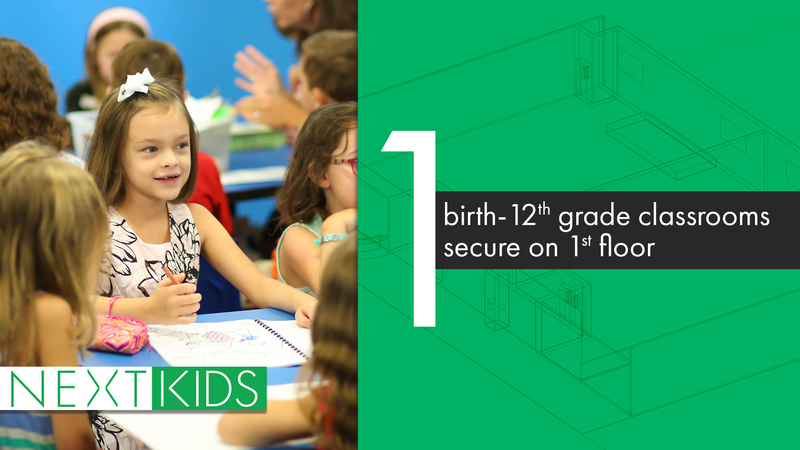 With NEXT KIDS, all birth-12th grade ministries will now be housed on the 1st floor. This will add extra measures of security to keep your children and students safe each week! 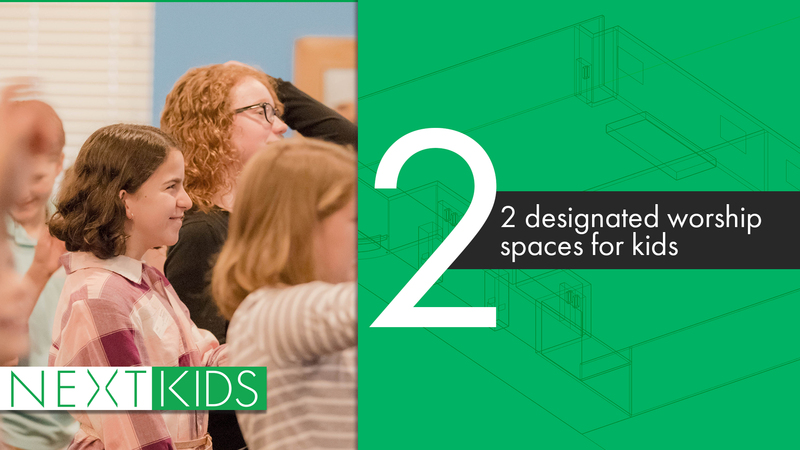 There will be 2 new designated worship spaces for Creek Kids. 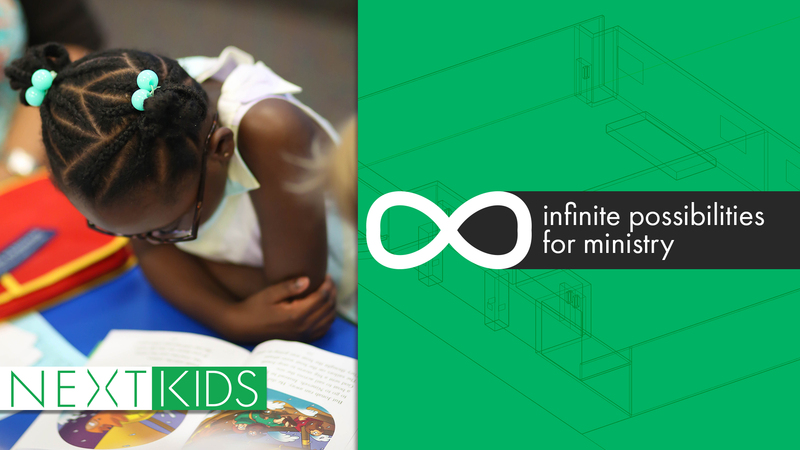 This will give your children added space to worship and learn more about Jesus! 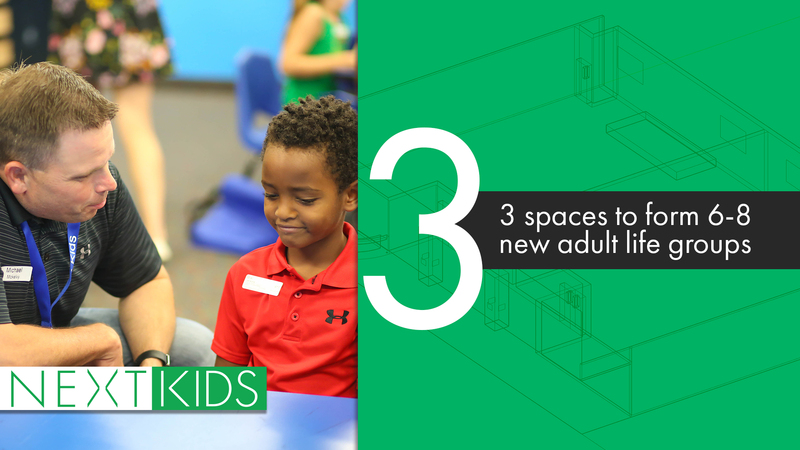 With these changes, new space will open up for the Adult Education ministry. Adding over 7,000 sq ft of space will provide room for Life Groups to grow and form new communities! There are infinite possibilities for ministry at Cottonwood Creek when the Cottonwood Family is faithful to God's direction and leading. 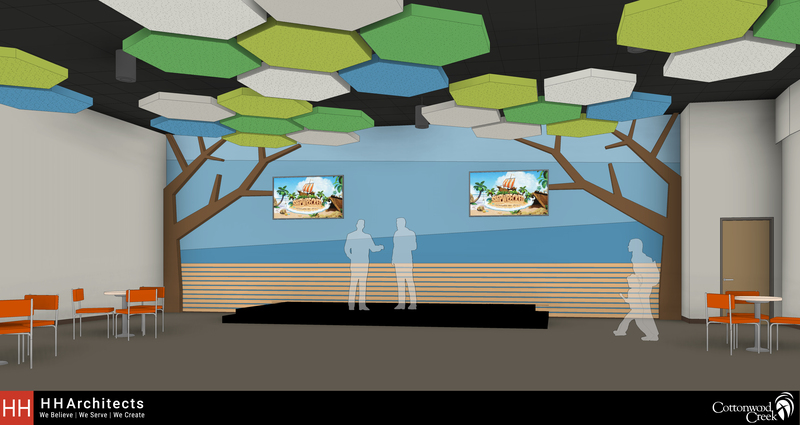 Help make this vision happen and be a part of what God is doing here at Cottonwood Creek! These are artist renderings and may not reflect the final plans or designs. Giving comes from income above and beyond regular tithes and offerings. This is a gift that goes beyond a "comfortable" gift. This requires a lifestyle change of some kind to make it a reality. God has put this amount on your heart to commit, trusting Him to provide it within the commitment period. This is a gift that you can achieve only with God's help. You must trust God completely for this gift to be realized. We are asking you to pray and seek God for how He wants you to respond. Prepare your heart to hear Him, and then listen to what He says. Talk with your spouse and your family about what this commitment will mean for this next season. Respond to the generosity of the Gospel by giving extravagantly for the progress of the Gospel in our church, among our community and around the world.